Derelict Wood Silo at Conifer Corner, a Christmas tree farm in Clinton Township Pa. The farm is located on Route 6 west of Factoryville, PA near the intersection of Lithia Valley Road. 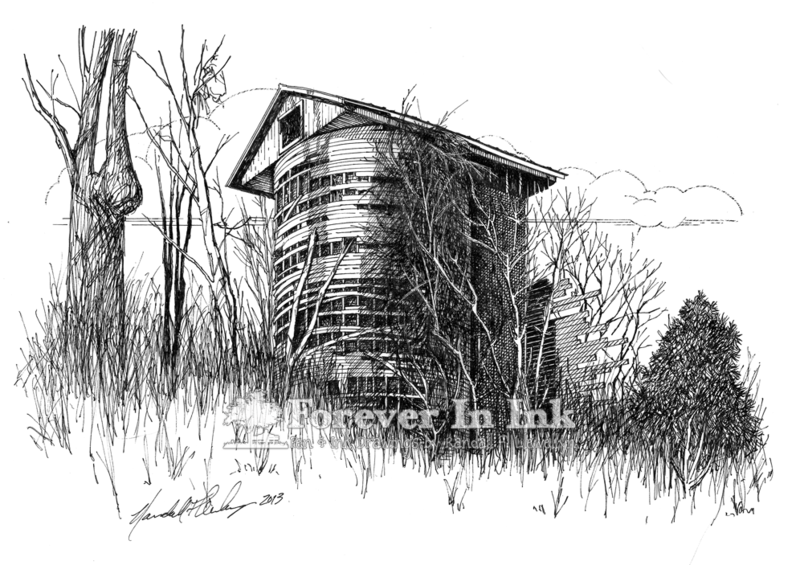 This entry was posted in Artwork and tagged Barn, Clinton Township, Conifer Corner, Derelict, Drawing, Factoryville, farm, Line Art, Lithia Valley Road, Pen & Ink, Pennsylvania, Route 6, Silo, Wood Silo. Bookmark the permalink.